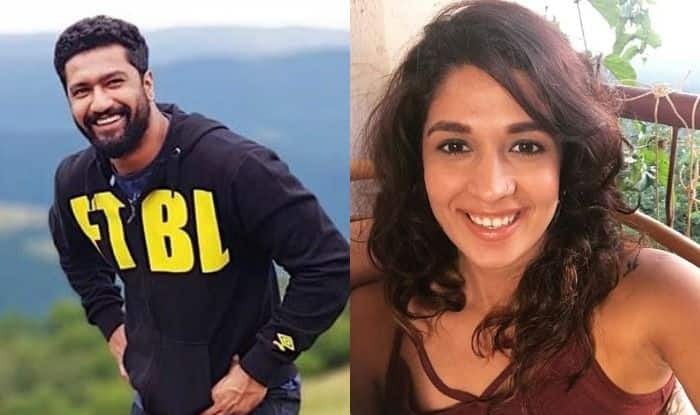 Vicky Kaushal finally opened up on his relationship status and said that he is "single, ekdum" after break-up rumours with Harleen Sethi were doing the rounds. One of Bollywood’s most versatile actor Vicky Kaushal has been in the news lately for his Blockbuster film Uri: The Surgical Strike. The actor has a huge number of fan following. Before the release of his film Uri, the actor appeared on many chat shows where he was asked many questions on his personal life. Out of the many questions, his female fans have always been eager to know about his relationship status. The actor was earlier said to be dating Harleen Sethi. Rumours were rife that Vicky and Harleen have called it off. Now, Vicky has finally confirmed and said that he is single. Vicky recently attended an event where he was asked to share about his relationship status. The actor gave a very casual reply and said, “single, ekdum.” He was then asked if he is ready to mingle to which he gave a rather witty reply and said, “Ready to mingle with the audience”. Earlier reports suggested that Vicky and Harleen’s relationship is going through a rough patch. There were also reports that Harleen had found Vicky double-crossing her with Katrina Kaif and hence called off the relationship. Earlier, a source told Bollywood Life, “It is true that the couple’s relationship is going through a rough patch. They are working on some issues. However, it is not over between them. Vicky and Harleen have kept their personal life private so far and are amused by these stories of Katrina Kaif driving a wedge between them. Yes, there are problems but that’s part and parcel of every relationship”. Vicky also appeared on Karan Johar‘s chat show last year in December and confessed that he is in a relationship. “It’s a new relationship, but it is very serious,” said the Masaan actor. 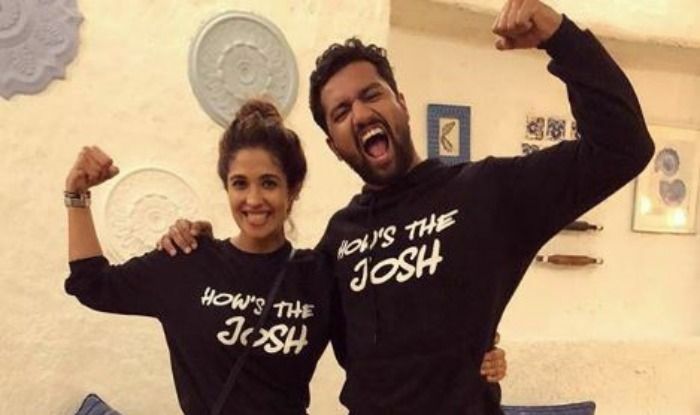 Harleen was spotted with Vicky twinning in ‘How’s The Josh’ t-shirts during the promotions of the film. Harleen even took the picture to her Instagram and captioned it, “High Sir”.